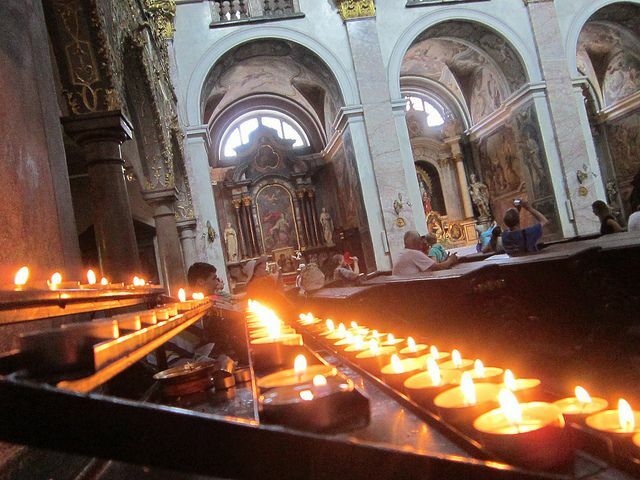 I'm also sending lit candles from St. Nicholas Cathedral for "St. Nicholas Abbey". Good grief. Let us hope there are no setbacks like this. Poor Abbey is really having a rough time of it. Didn't know where to put this but since we are keeping an eye on SNA here's another that needs prayers. "Sad news out of Taylor Made Farm: leading sire Unbridled's Song is current at Rood & Riddle Equine Hospital undergoing tests...According to Taylor Made's Travis White, Unbridled's Song started showing symptoms of neurologial issues yesterday...White added "Once they've had a complete evaluation, will consult with us and we'll go from there. It doesn't look real good right now." Headed to light candle for St Nicholas Abbey . I let a candle the 23 of July . Thinking about the great vet's that are trying to save him and the owner that's doing all they can to save him. Lighting a candle for St. Nicholas Abbey. Praying for his recovery. Were all praying for you big boy. Power up St. Nicholas Abbey. Power up Nick! The whole world is sending you good wishes beautiful boy! I just lit a candle for St. Nicholas Abbey. I haven't heard anything new. I did see on Coolmore Stud facebook that his surgery was done in consultation with Dr. Dean Richardson of New Bolton who we know did Barbaro's surgery. His situation is so similar to Barbaro, it's spooky. His treatment means he cannot have food for a prolonged period - this is difficult for a horse like St Nicholas Abbey who loves his food! He will get parentral nutrition instead (intravenous nutrition) to fulfill his daily requirements. Dr Nathan Slovis a medicine specialist from the Hagyard Institute in Kentucky arrived today to oversee his ongoing recovery and treatments. All surgeons are pleased with the progress he is making with his pastern reconstruction and he is taking weight on the leg well. Thank Goodness he's doing much better!! I hope everything continues this way in his long recovery back to health. Please, no more eventful health problems. We're with you Big Boy. Please keep lighting candles for Nick! We need everyone to say a prayer and hopefully we will get lucky like we did with Paynter! POWER UP NICK!! I was terrified he wasn't going to make it through the night! What a fighter! I'm glad to hear he is doing better but still has a long way to go. Fight St. Nicholas Abbey Fight. Hopefully he will keep progressing towards 100% recovery. St Nicholas Abbey remains in a comfortable condition at Fethard Equine Hospital. The surgeons & veterinary team are happy with his progress. He is in good form after another good night and along with receiving intravenous nutrition he is eating small amounts of freshly cut grass. Yay! Against all the odds he is ACTUALLY making it... I wasn't certain he'd survive the night after his colic surgery! Keep going Abbey! We're all behind you!